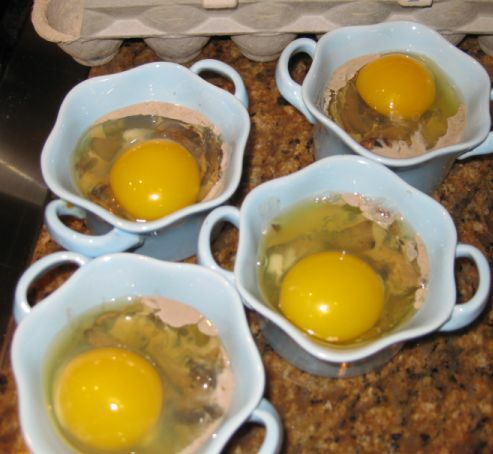 Oeuf en cocotte simply means Eggs in ramekins. 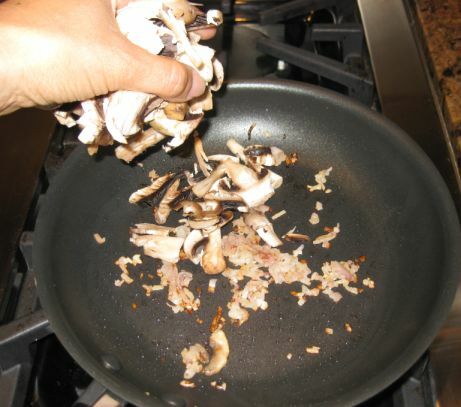 This is a really simple recipe to make. All you need is 20 minutes maximum. 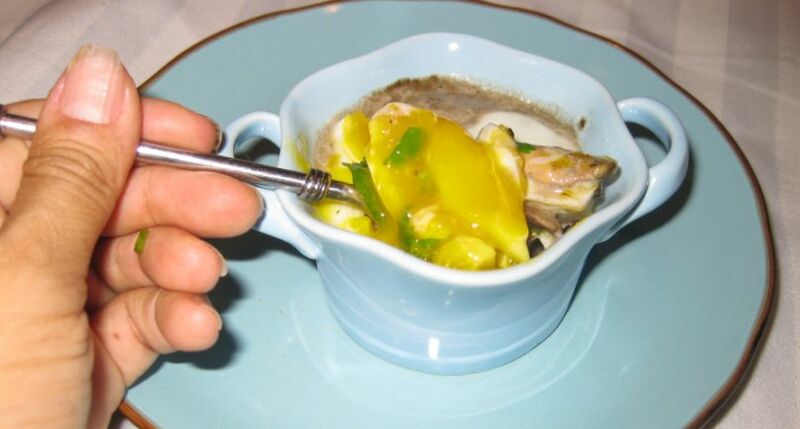 It can be served as a first course, an appetizer or even at breakfast. My friend Hanh N. told me that she was watching Jacques Pepin making this dish and as she was describing how the recipe was made, I immediately wanted to try it out. The recipe sounded so easy but yet so yummy. 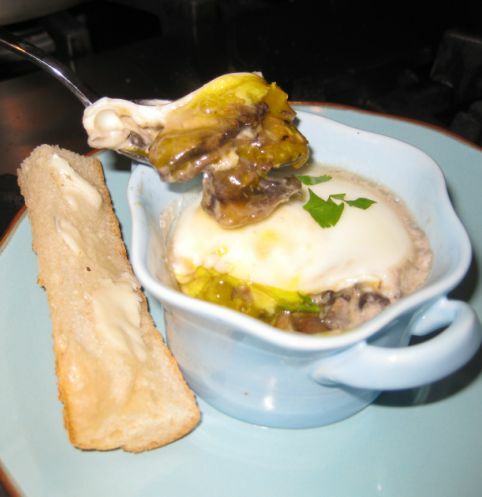 There are only a few ingredients in this dish: eggs, mushrooms, cream, shallots, and a splash of cognac. 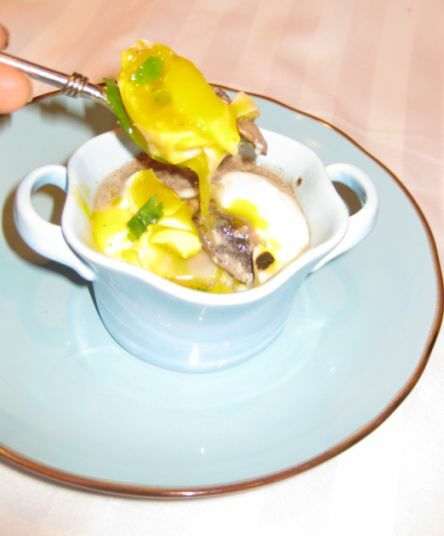 The main thing about this dish is not to overcook the egg. You want the egg to be on the runny side just like in this picture. The bread is toasted and spread with butter and then it is dipped inside the cocotte (ramekin) and used as a spoon to scoop out the creamed mushrooms and the egg... So good but yet so simple. This is how good it was... empty ramekins! 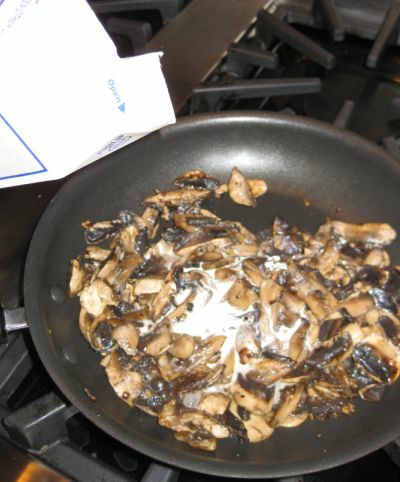 White mushrooms are sliced and then sautéed in a hot pan until the mushrooms released their juices. 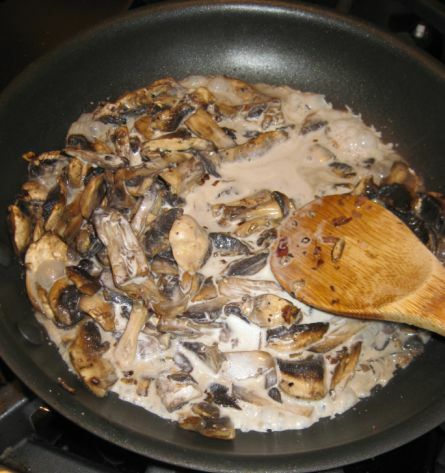 Salt and pepper are added to taste and then heavy cream is poured into the pan. 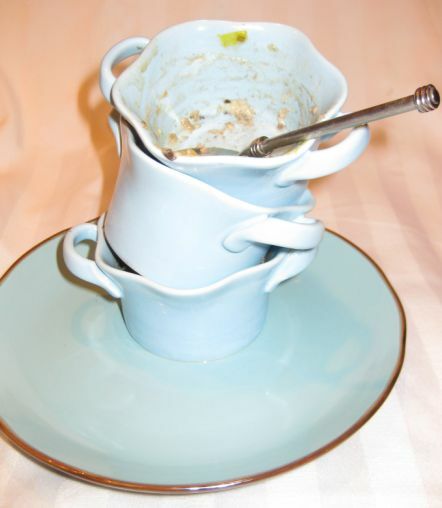 A tablespoon of cognac is added and then it brought to a boil until the cream is reduced to a thicker sauce. 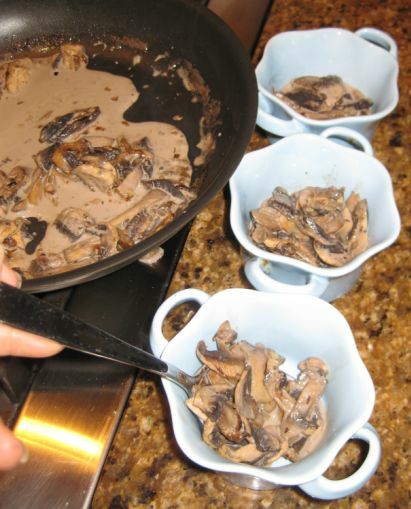 Next, the mushrooms are divided equally and spooned in the ramekins. 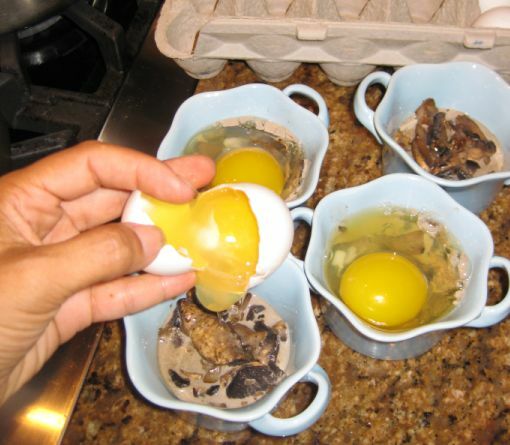 Breaking an egg into each ramekin, on top of the creamed mushrooms. The ramekins are now ready to be steamed. Boiling water and then ramekins are inserted inside the pot. 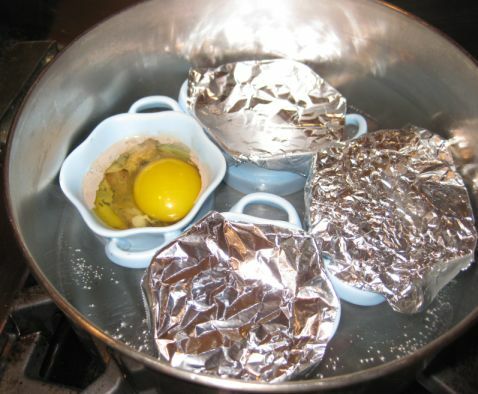 I am covering the top of the ramekins with foil so that the water does not get inside the ramekins. 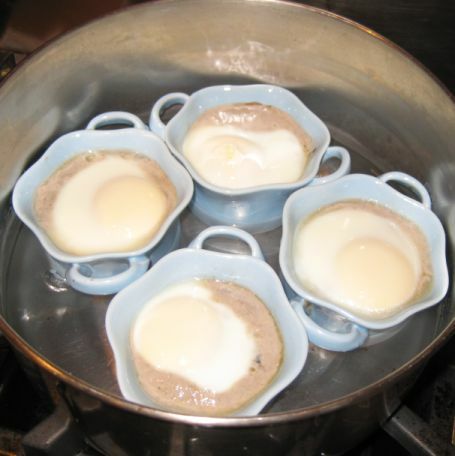 The ramekins are cooked for 5 to 7 minutes (no more than 7 minutes) because you want the egg to be a little runny.